We are a retreat centre also catering for group lodging, country escapes, reunions and gatherings in the heavenly Grampians. We love to host groups that are consciously minded and respectful of our property rules. We offer yoga, meditation and other mindful activities as well as access to abundant nature and wildlife. The price is for exclusive lodge access and includes 8 guests (max 22). For singles, couples and smaller groups see our other listings with communal access and shared amenities. As a retreat centre we specialise in catering for yoga, meditation and nature lovers seeking space to host retreats. 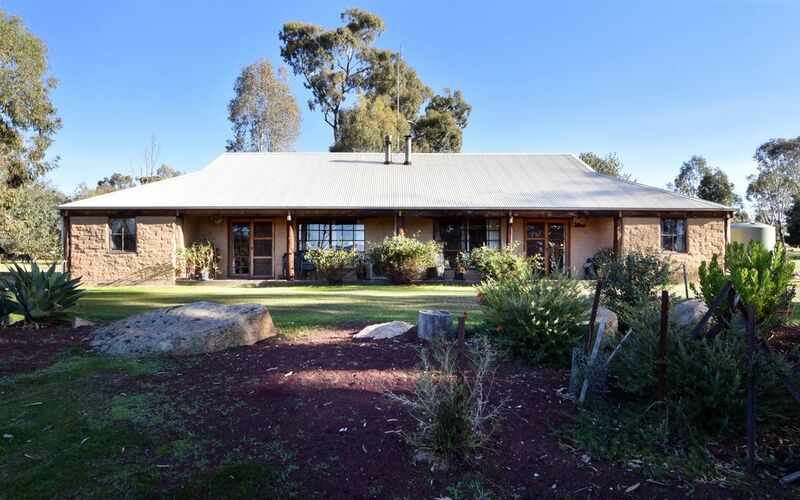 We also open up our lodge for other consciously minded groups (commercial, charity and family) looking to connect to the sacred magic of the Grampians. You may be a group of friends or a family reuniting, or perhaps a few couples looking to get away from the 'big smoke' for a few nights and we would love to host you here. As we are a bit different than most 'holiday accommodations' and are a living a breathing space devoted celebrating the best in life, we have a few house rules to ensure a pleasant stay and to make sure that we are a right fit. Please read these conditions and the description thoroughly as we don't want to get your hopes up if you are looking for a 'party' venue (a few glasses of wine or some quiet beers are okay!) If you are offended at the thought of leaving your shoes outside, this might not be the lodge for you! Leaving the crowds and prices of Halls Gap behind but within reach (30 mins drive) we are as close as possible to McKenzie Falls, Fish Falls, Hollow Mountain, Taipan Wall / Mt Staplyton and other Grampians attractions. Stunning views of the rugged Mt Difficult mountain range, close encounters with the abundant wildlife including kangaroos, emus and 150+ species of native birds. Beautiful native wildflowers and a private back valley with lake to explore and bird watch under the awe inspiring Asses Ears mountain. By request we can supply free of charge high chair, trestle tables, camp chairs. Thick hand built mudbrick walls and timber posts mean you enjoy cool days in summer and warm snug winter nights. Eco friendly and fun to stay in. Unique earthy architecture. Tipi and Yurt are suitable structures for yoga and meditation workshops / retreats but must be booked with prior arrangement and are out of bounds unless supervised. Please google Kailash Collective Grampians to see our retreat centre website and details for retreat packages. Bench top convection oven, Reverse cycle air conditioning, two hi powered gas burner stoves, toaster, electric jug, electric frypan or wok, Coffee machine or stove top filters supplied, all cutlery and plates for up to 22, cooking equipment, knife rack, clothes washing machine. Full bedding, towels, hand soap, detergent, toilet paper, LPG gas for BBQ, firewood for wood heater, matches, bath mats and hand towels, coffee filters. Dog friendly with secure yard while you are in the National Park offering shelter, water and shade. Dogs can sleep inside by the fire or outside the cabin at night in their own bed. $15 per dog per night. Water dishes and dog towels available. Please enquire for prices and more information about the services. Hi! After 13 years with the Australian Army, a brief career as an Architect, and a whole lot of soul-searching, I decided to move to the country and enjoy the peace of the Australian bush. It is my absolute pleasure to be the custodian of this land and to share this property with people who are seeking a re-connection to themselves and nature. This property delivers a stunning setting and has huge potential to evolve and grow into a mixed use space. Over the coming months I will be offering Yoga, Meditation, Rock Climbing and Sound Healing in our stunning Yurt and Tipi. The land, adjacent to the Grampians, has been a corridor for birds, bees, animals and humans for thousands of years. It is our intent to continue to find ways to live in harmony with the land and to offer you the experience to feel connected to mother earth. Reverse Cycle Air conditioning and also 2 efficient wood burning combustion heaters. The Grampians (indigenous Gariwed = Mountain of Gods) is Australia's premier National Park with flora, fauna, mountain scenery, walking, climbing and wildlife that typifies the Australian Bush. More than that though, the land is revered as sacred by 50,000 years of Aboriginal occupation, boasting the largest array of cave painting sites in Australia. Close to several stunningly beautiful waterfalls such as the popular McKenzies Falls, the quieter Fish Falls and the serene Beehive Falls, the Wartook Valley is nestled on the Western side of the range, away from the tourists and noise of Halls Gap. Come and let your soul experience the magic of this quiet, peaceful and rejuvenating slice of Australia.